The New Day panel on CNN was talking about today's White House meeting with Trump and politicial leaders, and how Trump is looking for someone to offer him an out. "I love how you sat here patiently and waited as he spoke about the incoming Speaker of the House, who happens to be one of the people who raised you. But if you can tell us what Speaker Pelosi thinks about going in..." John Berman said. "John, we have known you for two decades. Do you think i'm going to come on CNN and talk about my mother?" Alexandra Pelosi said. "You are a fantastic political reporter. How does she approach meetings with President Trump, A? And B, just what are your feelings about this person who you know quite well becoming Speaker of the House?" "She'll cut your head off and you won't even know you're bleeding. That's all you need to know about her. No one ever won betting against Nancy Pelosi," she said. "You have to give her credit. No matter what you think of her, you have to give her credit because, think about it, think about all those presidents she's endured, right? The Bushes, the Clintons. she's been around. This is not her first rodeo, as your friend George Bush would say. She'd make you sleep at night, knowing she's there." If this isn’t the most emblematic picture of the Trump presidency, I don’t know what is. That’s Trump’s White House, Trump’s America. Here we go with Mitt Romney, but so fast! Question will be, is he a Flake? I hope not. Would much prefer that Mitt focus on Border Security and so many other things where he can be helpful. I won big, and he didnÃ¢ÂÂt. He should be happy for all Republicans. Be a TEAM player & WIN! Why would Trump hope that Romney won’t follow in Jeff Flake’s footsteps? Flake never took even the slightest meaningful action until he was the lamest of lame ducks, caving repeatedly to Trump and Senate Majority Leader Mitch McConnell, even as the media used his limp anti-Trump rhetoric to suggest that the Republican Party has a meaningful moral center rather than being the party of Trump and the party that created Trump. Donald Trump needs someone in that Jeff Flake role. 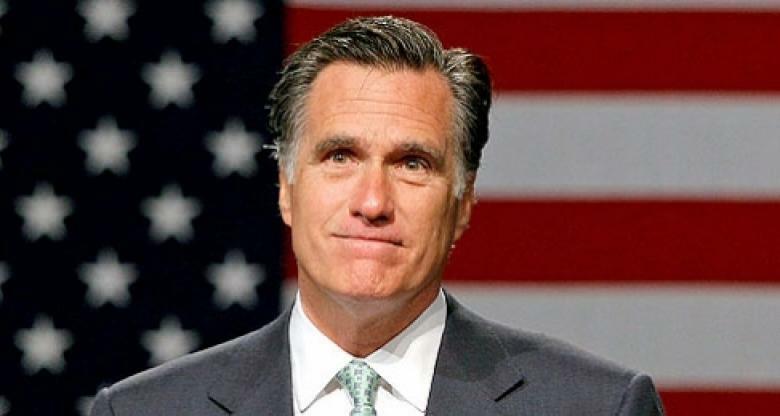 In any case, Romney carefully used his op-ed to inoculate himself from being a meaningful anti-Trump force, writing that “I will support policies that I believe are in the best interest of the country and my state, and oppose those that are not. I do not intend to comment on every tweet or fault. But I will speak out against significant statements or actions that are divisive, racist, sexist, anti-immigrant, dishonest or destructive to democratic institutions.” In short, he will vote as a loyal Republican 98 percent of the time and loudly expect credit for the other two percent, while emerging at carefully timed intervals to express his disappointment in Trump. Oh my. Mrs. Scarborough just can't contain herself, praising Mitt Romney this morning for his cynical editorial attacking Trump. "This piece is quite incredible. he hasn't even started his job. He hasn't even been sworn in as senator for the great state of Utah, but Rick Tyler, I feel like this is Jeff Flake, Ben Sasse, Bob Corker, definitely a touch of McCain all wrapped up in one," she said, comparing Mittens to her other beloved centrist gods who specialize in making principled noise but doing little. "This could be a very different dynamic if this is what we're getting out of Senator Mitt Romney right out of the box," she gushed. "I think it's welcomed, and I give him a lot of credit that he's not even sworn in yet. He will be sworn in by the vice president, which will make an interesting swearing-in after having published this op-ed but he's essentially laying down the gauntlet he's not going to be quiet. And I think that's a good thing," Tyler said. "My criticism of Romney, if I have one, and this sounds very harsh, but in a sense, Romney is Trump's ideological twin. Romney is a man of great character. There's no question about that. He certainly can speak about it but in terms of policy, he's been all over the map. and even in the column, he misstates the conservative view about trade. He said he supports Trump's approach to trade with China. After a holiday season mostly spent tweeting angrily from the White House while big chunks of the government remain shut down, Donald Trump is having congressional leaders to the White House on Wednesday—but it’s not for a straightforward negotiation on reopening the government. Instead, the top leaders from each party in the Senate and House will be briefed by the Department of Homeland Security, presumably with the intended message being that it’s suuuuuper important to build Trump’s wall. On New Year’s Day, Trump tweeted that “Border Security and the Wall ‘thing’ and Shutdown is not where Nancy Pelosi wanted to start her tenure as Speaker! Let’s make a deal?” but he’s not showing signs that that “deal” would involve backing off of his wall. Will Trump finally settle down and negotiate? It seems unlikely, but at this point even Mr. Art of the Failed Deal must be able to see that this is not a winning situation for him. There’s no better way to be welcomed into the new year than by an all-caps rant. Still huddling in the White House in his unbroken stint of Executive Time, Trump turned to Twitter an astounding 16 times on the first day of the year, but really you didn’t have to read past “THE HATERS AND THE FAKE NEWS MEDIA” to know that Trump remained unvisited by any life-reforming spirits over the holiday season. Oh, and Trump padded out his quote with advice that Americans “JUST CALM DOWN AND ENJOY THE RIDE,” a quote he seems to have lifted from Bill Cosby. Or possibly Ted Bundy. But Trump reserved most of his holiday twit-a-thon for making wall-related tweets. Since determining that the approval of Ann Coulter is more important than the operation of the government, Trump has raised the bar on lowering his IQ, offering a stream of wildly-inaccurate, or simply incomprehensible, posts about the wall, wall, wall. As the Washington Post reports, Trump said that “every single Democrat” had supported a wall before he wanted it. But not only did previous legislation call for much less substantial barriers along much more restricted sections of the border, many Democrats voted against funding even those fences—including Nancy Pelosi. And Trump claimed that President Obama had built a “ten foot wall” around his new home in Washington, D.C. a statement that could be tested by just pointing cameras in that direction and … yep, another lie. Trump also continued to insist, against all evidence, that terrorists were pouring into the United States across the southern border. He made multiple claims about the barrier between Israel and Palestinian territories—nine tenths of which does not have a wall. Trump continued his pretense that a wall would halt drugs, most of which are smuggled in by vehicles that pass through legal entry points. If Trump were to get his complete barrier, whether concrete as he previously claimed or made from “shiny steel slats,” the Post reports that it would have “a minimal effect” on drugs coming into the United States. And Trump found a way to blame the government shutdown on not just Democrats, but Dreamers. On New Year's Day, while we were all watching football, breaking resolutions, nursing hangovers, or taking down Christmas decorations, Utah Senator-Elect Willard "Mitt" Romney sent the Washington Post an op-ed for all of us to read in the hopes we would cheer! Or pat him on the back! Or mutter, "Thank the Lord Above for Saint Mitt, who will say things to Trump when he feels led." Yes, folks. Senator-to-be Romney would like us all to know he wholeheartedly approves of all the things Trump has done, policy-wise. "[Trump] was right to align U.S. corporate taxes with those of global competitors, to strip out excessive regulations, to crack down on China’s unfair trade practices, to reform criminal justice and to appoint conservative judges," Almost-Senator Mitt writes. Oh, well, what could the matter be, Mitt? Why would you write a Very Serious Op-Ed if you agree Trump's policies and wingnut judicial appointments are right on the money? The absurdity of this line of attack is apparent on many levels. Walker’s criticism of Warren as “out-of-touch” is more than a little rich given that Warren just won re-election by 24 points, whereas Walker lost his bid for a third term to superintendent of public instruction Tony Evers. Jerry Falwell Junior's interview with the Washington Post's Joe Heim is chock-full of startling revelations. Though he doesn't discuss giving a 21-year old pool attendant and "friend" a ride in the private jet (wink wink) or millions to fund a business venture because why not, he does have many thoughts about Donald Trump. 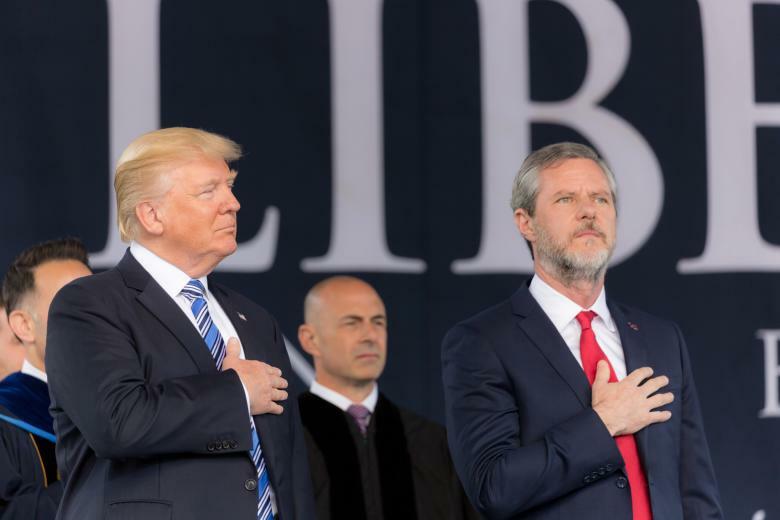 The first thing you need to know is that Falwell will never leave nor forsake Donald J. Trump. There is literally NOTHING Trump could do that would cause Falwell to turn his back. When asked, he answered with a flat "no." "What earns him my support is his business acumen," Falwell explained. "Our country was so deep in debt and so mismanaged by career politicians that we needed someone who was not a career politician, but someone who’d been successful in business to run the country like a business. That’s the reason I supported him." When Heim pointed out that Trump actually ballooned the deficit, Falwell fell back on the default position: Blame Obama. Never mind the ridiculous tax cut, it's all Obama's fault. Damn facts don't matter when you're an e-VAN-gel-i-cal with your guy in the White House. Back to work, you louts! It’s our first live show of the new year. And it’s Wednesday, which means we’ll be looking to hear from Greg Dworkin and Joan McCarter. It’s also the last full day of the 115th Congress, and tomorrow, they’ll swear in a new Democratic majority in the House. Or, at least, they would be doing that, in normal times. But this is not normal. PODCAST LISTENERS: There’s a new podcast platform in town, and the big news is: this one pays! RadioPublic pays podcast producers on a CPM basis, for listens on their native app (available for iPhones & Androids), financed by pre- and post-roll ads they insert. Not a bad way to support the show, with somebody else’s money! So if you’re a podcast listener, please consider downloading the RadioPublic app on your Android or iOS phone. Yes, you can still download directly from their site, or listen to the player embedded here at Daily Kos. But it’s listens in their app that count toward payment. Happy New Year! If you’re up for it, we can jump right in with a brand-new KITM. AOC’s annoyed at hitting resistance with the Green New Deal committee idea. But procedurally, this thing needs work. Is anyone doing that work? Is anyone who’s saying “no” helping find a way to “yes?” Why not end 2018/begin 2019 with a few tech nightmares? Alexa is one, for starters. And Facebook, of course. And even your daily newspaper, it turns out. A new name for the Trump-Russia rogues gallery: Victor Boyarkin, the Manafort-Deripaska middleman. And, a look back at the unsolved “micro-mysteries” of 2018. David E's Fablog - FATHEAD! Eclectablog - is Mueller the left's QAnon? Steve in Manhattan (@blogenfreude) blogs at stinque.com and has podcast suggestions for you: Mueller She Wrote. To recommend a post, send the link to mbru@crooksandliars.com - we do check it! Abbreviated Pundit Round-up: Republicans can't get the wall that Trump wants. Now what? Great question. In metonymy, the thing substituted isn't really a part of what you're talking about (“the suits in the corporate office”, or “I lost money at the track”), you have to mentally substitute an evocative thing, so Ds think metonymy since the wall isn’t part of actual enhanced border security. Republicans, on the other hand, think it's a small part representing the greater whole (“cash or plastic?”, or “nice set of wheels”), so they think synecdoche. And when you can’t even agree on the basics, you have little basis for negotiation. By splitting off the homeland security bill, Democrats are opening the door to a month of negotiations. But they are also essentially daring Mr. Trump and Senator Mitch McConnell, Republican of Kentucky and the majority leader, to keep a big chunk of the government shuttered over the president’s demand for the wall. Senator Chuck Schumer of New York, the Democratic leader, and Representative Nancy Pelosi of California, who is expected to be sworn in as speaker on Thursday, challenged Republicans in a joint statement on Monday. Both Republicans and media will need to adjust to the new reality. Dec. 4, 2018 | Bob Boilen -- Sometimes the world turns obstacles into magic. 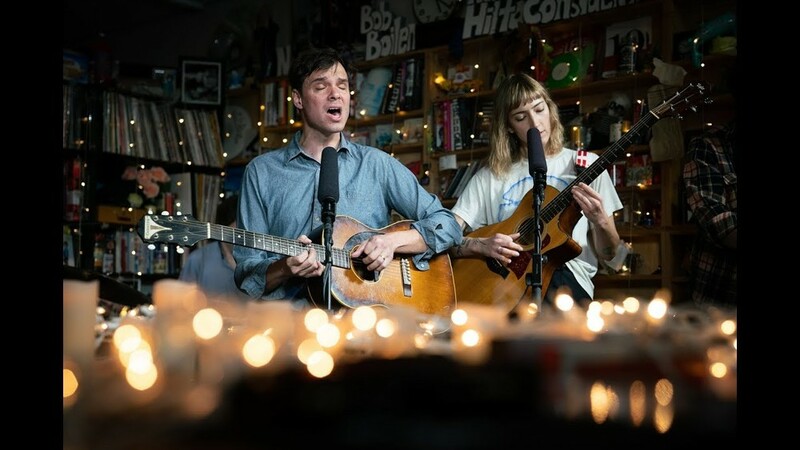 When Dirty Projectors let us know they couldn't make it to the band's Tiny Desk performance until late in the day, we were sad because the clocks had recently turned back for the fall, we knew that our beautiful, natural light would be gone and it'd be dark. But with candles left over from a late-winter day performance by Rhye — and some LED panels and spots — we were set up right on time for David Longstreth to sing these words: "The sky has darkened, earth turned to hell / Some said a light got shined where darkness dwelt / So I won't cry or collapse, overwhelmed / Time like a song just might rhyme with itself." That song, "Right Now," and the other two tracks from Dirty Projectors' brilliant 2018 release Lamp Lit Prose, felt more poignant than ever. Dirty Projectors' eighth album is often loving and forgiving. It's full of the quirks of production and rhythm and rhyme that had me fall for their music when I first heard it about a dozen years ago. What's wonderful about this Tiny Desk Concert is watching these talented people arrange this complicated music without amplification and seeing the joy on their face when it all worked out. Obstacles into magic indeed. If you needed evidence that Fox News was not going to change much in 2019, they gave it to you in their New Year's Eve coverage last night. "Kennedy" (does she have a last name? A first name? Is she Cher?) interviewed an astrologist. Not an astronomer, people, as in a scientist. THAT would have been news, because actual science people, astronomers at NASA were waiting for news that their spacecraft, New Horizons reached the farthest depths of space any has ever explored before...no, THAT would have been awesome coverage and an incredible way to bring in the new year. Well, he's actually also at the end of the 27 year cycle, which is his progressed Moon cycle, where he is letting go of a lot of the situations and relationships he's been in, and the degree of the zodiac with his new cycle starts. The exact degree tells us a lot about what his new cycle is about, and that degree is, two guardian angels watching over and protecting him. Crooks and Liars' own Red Painter asked if he could please let go of his relationship with the White House and the presidency. Kennedy asked if the angels might be the two Mikes: Pence and Pompeo. "Are those the Guardian Angels?" We like Red Painter's question better. When Stephen Miller showed up for a little weekend punditry with a bonus strip of hair atop his shiny head, the message was clear: My lady troubles aren't anything a little dash of hair can't fix! And so goes the Republican approach to winning women back after they lost the demographic by a whopping 19 points in the midterms nationwide. For a little historical perspective, George W. Bush only lost the female vote in 2004 by 3 points. Even with Mitt Romney's lackluster showing in 2012, he still only lost women by 11 points. Now the GOP's incoming freshman class includes a grand total of four women while the Democrats are welcoming 38 new female lawmakers into their ranks. But Republicans aren’t fretting, writes Jennifer Rubin. The Republican Party’s nostalgia for the 1950s, its continual appeal to male grievance (“a very scary time for men in America”) and its anachronistic view of women (John F. Kelly sounded like he was from another century — the 17th, perhaps — when he declared women used to be “sacred”) sends a consistent message to women that they should be seen not heard, and preferably not seen at all in the workplace. Indeed—and not very many women will be seen in the GOP's workplace come January. But Republicans aren't that worried about it. Like Stephen Miller's magical makeover, perhaps they can just spit shine their shoes, smile real nice, sprinkle a little fairy dust and female voters will once again fall under their spell. The dance duo Twist and Pulse recreate the top music video dances of 2018. I can't say I'm familiar with all the music, but watching these two south Londoners dance their way through the year is clever and fun. Daily Kos Elections' project to calculate the results of the 2018 Senate and gubernatorial elections by congressional district ventures to New Hampshire (sorry, Granite State, you don't get to be first-in-the-nation for everything). As with past cycles, we'll be releasing data after states certify their final results. You can find each state's certification deadlines at Ballotpedia. You can find our master list of states here; we'll be updating it as we add new states. You can also find our complete set of data from this and previous cycles at Daily Kos. Democrats had overall a good night in the Granite State by holding both congressional districts and flipping the state House and Senate. 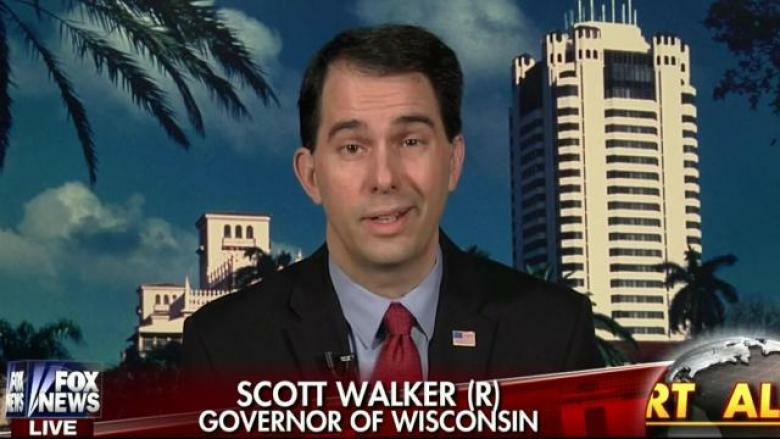 The one bright spot for Team Red was Gov. Chris Sununu, who beat Democrat Molly Kelly 53-46 to win a second two-year term. Sununu carried both the state's congressional districts, taking the 1st District around Manchester 55-44, but only winning the 2nd 51-48. However, New Hampshire voters have a reputation for splitting their ballots, and they did so this year as well. Democrat Chris Pappas held the open 1st District 54-45 against Republican Eddie Edwards, a win that will make him the state's first gay congressman. That wasn't just better for Team Blue than Trump's 48-47 win here; Pappas also ran ahead of Obama's 50-49 victory in 2012. Over in the 2nd, Democratic Rep. Annie Kuster won a fourth term 56-42. Two years before, Kuster had beaten another underfunded GOP foe by a modest 50-45 as the 2nd was moving from 54-45 Obama to just 49-46 Clinton, but Trump's unpopularity in this area more than made up for Sununu's narrow win.